The perfect solution. 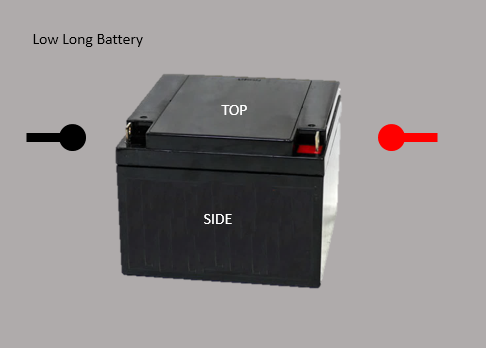 An OEM battery that matches what I found inside the MotoMaster Nautilus power tank would be ideal. The correct dimensions, close to the amp-hours, and the nut-bolt terminals in the correct configuration. Interesting, the stock sealed lead acid battery is lying on its back. Option 1. Actually, this is Wayne's solution, as he bought a similar (slightly larger) battery that had the terminals reversed. He needed heavy gauge interconnect wires to reach the terminals. Option 2. 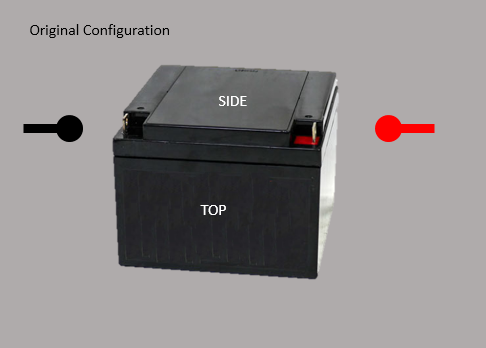 I have looked a little for a battery that is short but deep, in an upright configuration, the same overall form factor as stock battery when on its back. Option 3. And lately, I've been thinking we are barking up the tree. Maybe we should rethink the solution. 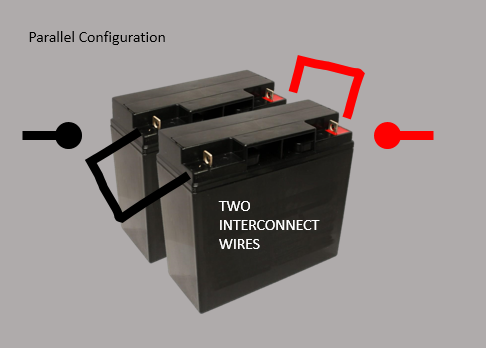 Would it be easier to find two smaller batteries and interconnect them in parallel? 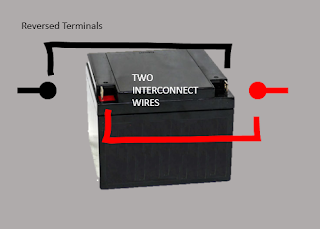 In a parallel arrangement, the same battery terminals would be connected. Positive to positive and negative to negative. When done, we can add the amperage and average the volts. So two 18Ah 12 volt SLAs in parallel would put out 36 ampere-hours. Again, this option needs heavy gauge wire to interconnect the batteries. And there needs to be clearances inside the casing and mounting to support this.